Police pallbearers carry a coffin containing the body of the deceased officer, Nsengiyumva, to a cemetery for burial (photo courtesy of RNP). 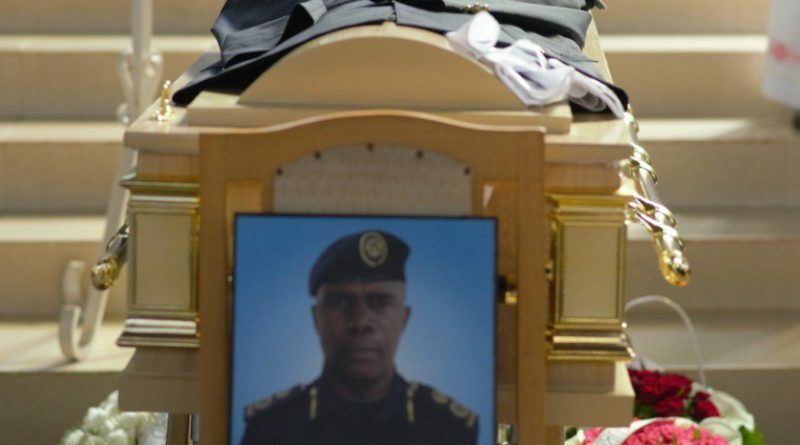 Assistant Commissioner of Police (ACP) Theogene Nsengiyumva, who passed on last week of heart problems was this Monday laid to rest at Rusororo cementary in Gasabo District. 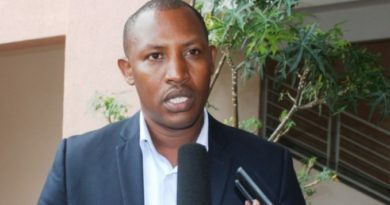 “The big family of Rwanda National Police and Rwanda Defense Forces stand in sorrow with the beleaved family, relatives and friends of late ACP Theogene Nsengiyumva. The end of his journey on this earth is God’s plan that everyone will go through; the end that leave tears, sorrows and void among the family and friends. 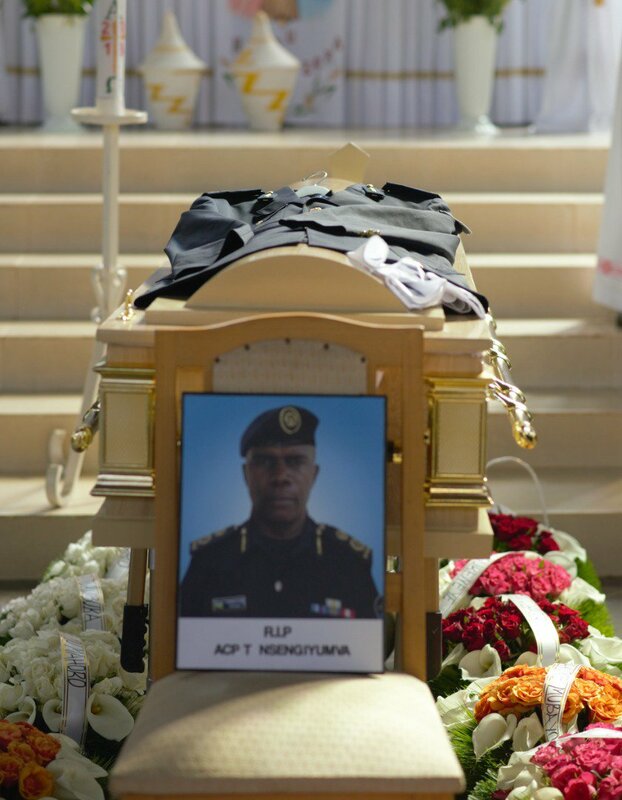 ACP Nsengiyumva has left us at the age of 53. He’s an officer who was defined by love for his country. 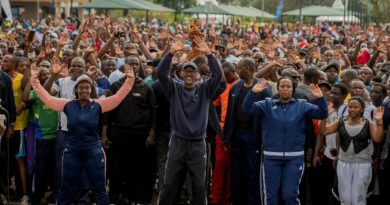 He joined the army in 1991, attended various military courses and served in varied military capacities. 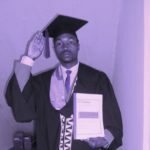 In 2015, he was transferred to RNP and at the time he met his demise he was one of the teachers at the National Police College (NPC) in Musanze District. We have lost an experienced, disciplined and hardworking officer, who sacrificed a lot for his country. His death took us by surprise. He has left a void in us all, but as relatives and friends we have a duty to close that gap in one way or another. We continue to stand with the family of late ACP Theogene Nsengiyumva in these trying moments, and we will continue to be close to you in any way possible.